As we enter the holiday season and 2018 comes to a close, we can now look back at the year’s past real estate trends. 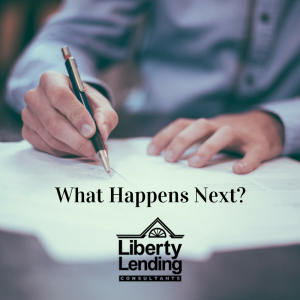 As buying and selling homes often comes down to a matter of time, both sides should pay attention to what’s affecting the market. As we put together strategies to take advantage of upswings and avoid pitfalls next year, we’ve put together the top three things to look out for in 2019. Various initiatives to provide and improve housing for migrant millennials in second cities could lead to booms in 2019. Young families are more willing to commute from the outskirts to main street, so these less-valuable properties could see increases as their communities become the trendy places to live. Trends in 2018 indicate the next generation of young adults –those approaching or right beyond 30 years of age—are taking up residence in the more quaint areas of the country. This is a direct result of a concentrated effort by these areas to provide more attractive nightlife activities for those who want to raise a family in an area with good schools, but still want to have options for happy hour. Similarly, the continued proliferation of online retailers over brick-and-mortar stores has lowered the value of “near shopping center” real estate considerably, and it’s safe to assume that millennials value the once-precious locations less than their parents. The term describes cities that operate like the biggest cities in America, those that seem to or literally never sleep, except with slightly less constant activity. Instead of a 24-hour cycle of commerce and entertainment, these places are only active for 18, hence the name. Specifically, it refers to cities that have all the amenities of a large-market city—growth potential, a solid and/or growing economy, and the type of urban development mentioned above. 18-hour cities are a solid investment for both long and short-term sellers as well since the housing is a cheaper investment that may one day yield similar returns. As a result, both investors and homeowners would be wise to look for ground-level opportunities in places where they see a lot of “coming soon” signs. In the midst of an increasingly tumultuous political climate that has yet to severely cripple the real estate industry, many are waiting with anxious breath for the other shoe to drop on their real estate plans. As a result, an educated guess would see many real estate investors looking toward relatively future-proofed investments that are low-risk, low yield as they wait out the tide of a looming housing crisis. Experts expect affordability to bottom out as supply continues to fall short of demand and the cost of lodging continues its same pattern of continual increase that has occurred over the last three years.